A company can be public or private. A company of either type is characterized by its means of raising capital. Money is raised by selling shares of itself to investors who want to see a return on their investment. This return is dictated by the success or failure of the firm economically. A public company is one that is listed on any of the world's stock exchanges, which means that anyone with the money can buy shares of the firm. A private company is not listed, and raises money solely by personal contacts. A public company, like all companies, is a legal entity. This means that the company is legally separate from the personality of its owners. It “acts” in its own name according to the will of the board of directors. The concept of the firm having its own “legal personality” is that it is not dependent on the lifespan of its founders or present shareholders. A public company is theoretically immortal in that it can exist over many generations of shareholders without altering its public (fictive) persona. Identifying a public company is fairly easy. It raises capital though stock exchanges, and the main contributors of that capital have the greatest voice in creating the general policies of the firm. 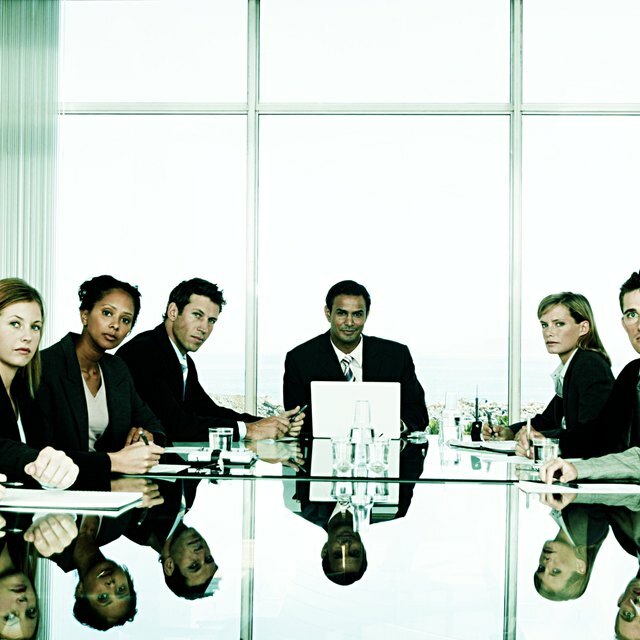 Shareholders meet (at least) yearly to debate and formulate general firm policies, goals and rules that then must be carried out by its management and labor. The characteristic purpose of a public company is to share the profits of its success among those who have bought shares in the public stock exchanges on which the firm is listed. Public companies generally are limited liability firms. This means that, since the firm is a fictive personality, it and it alone can be held responsible for its “actions.” In real terms, the benefit here is that if you are a shareholder in a major firm that gets sued, the payoff can only come out of the cash that belongs to the firm itself. In paying off debts, for example, the company is only obligated to pay out of its own resources, not the personal resources of its shareholders. A public company divides management from ownership. This is one of the most important characteristics of a public company. The shareholders, at least the major ones, met regularly and, among other things, hire its management. Shareholders do not, as a rule, run the firm at the managerial level. They only give their investment money and collect dividends. Their oversight of the firm is indirect, while the management, answerable to the shareholders, runs the day-to-day life of the firm.